The flair and flavor of New Orleans meets the excitement of Las Vegas at The Orleans Hotel and Casino, located just minutes from the Las Vegas Strip. 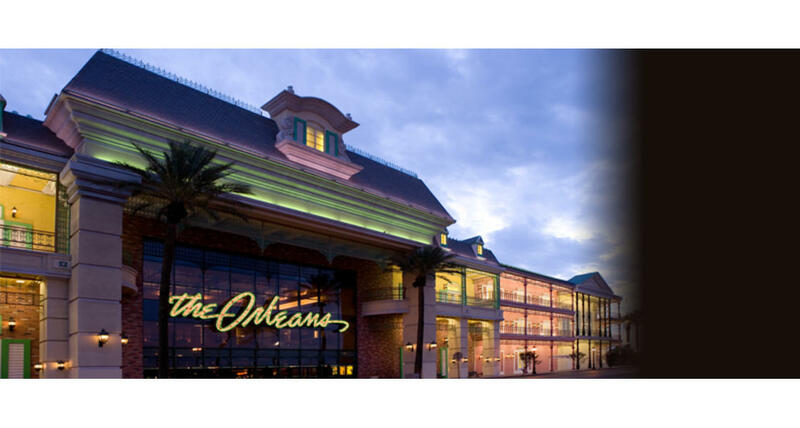 Themed after the famed French Quarter, The Orleans celebrates Mardi Gras 365 days a year. Here, you'll find a wide range of live entertainment experiences. At the 9,000-seat Orleans Arena -- one of the leading mid-sized arenas in the country -- The Orleans hosts a variety of sporting events and live concerts throughout the year, and a wide selection of nationally-renowned entertainers make regular appearances in the property's 850-seat showroom. The Orleans' restaurant offerings are as diverse as its namesake city. You'll find small plates for sharing at Alder & Birch, more restaurants include the Prime Rib Loft and Big Al's Oyster Bar; a wide range of tastes from around the world at the Medley Buffet, Ondori Asian Kitchen, and Copper Whisk Cafe, Bailiwick; a number of favorite restaurant brands, including TGI Friday's, Fuddruckers, Java Vegas Coffee, Subway, Sbarro, Baskin-Robbins and Rocky Mountain Chocolate; as well as four New Orleans-themed bars. Other entertainment offerings include an 18-screen movie theater, a 52-lane bowling center, and a casino featuring slots, video poker machines, table games, a 35-table poker room, a 125-seat race and sports book and a keno lounge. The Orleans also features over 1,850 guest rooms, the Spa Orleans and fitness center, and a salon and barber shop. As they say in the Big Easy, "Laissez Les Bon Temps Rouler," or "Let the Good Times Roll!" The Orleans offers free shuttle service to the Gold Coast and the Las Vegas Strip.